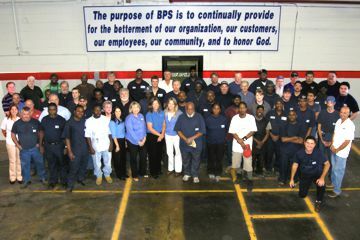 BPS is a people oriented organization and recognizes our employees as the foundation of our company. BPS management has a wealth of knowledge and experience in the automotive industry. Many of our key people have held management positions with remanufacturers. This has put BPS in a strong position to understand the business from the remanufacturer's viewpoint. As a result, the company has developed and maintains a strong relationship with its customers and partners. This experience together with extensive product knowledge has led to highly successful core management programs with OE manufacturers and remanufacturers.